Agree with putting Homer on 60 day. It sounds like he's going to need surgery. I hope they don't try to rest it, have him come back in a month or two and then decide to have the surgery. Gregg and Badenhop both need to go. I would also put Homer on the 60-day DL, and then they could add one of the other guys. I agree that Gregg & Badenhop both need to go, but I don't think they'll throw in the towel on Badenhop just yet. He was okay for your Red Sox last year & I think they'll keep him on the 40-man, unfortunately. While Raisel Iglesias pitched in Bailey's spot earlier this year, he started Sunday for Louisville, which means Thursday would be short rest, something that seems unlikely. There are five other starters on the 40-man roster right now — Amir Garrett (in High-A and scheduled to start tonight), David Holmberg (at Triple-A, but started on Monday), Josh Smith (in Double-A, who would be on regular rest tonight, but Pensacola's starter is listed as TBA), Keyvius Sampson (who started the season in extended spring and has yet to pitch this season) and Matt Magill (in Triple-A, but like Iglesias started in Sunday's doubleheader). That would seem to mean the Reds would either have to go with Garrett (unlikely), Smith (possible) or make a roster move to get another pitcher, likely Michael Lorenzen, the call-up. Lorenzen, who is not on the 40-man roster, is 2-1 with a 2.84 ERA in three starts at Louisville. He's coming off his worst start of the season, allowing five runs on 11 hits over six innings on Friday. 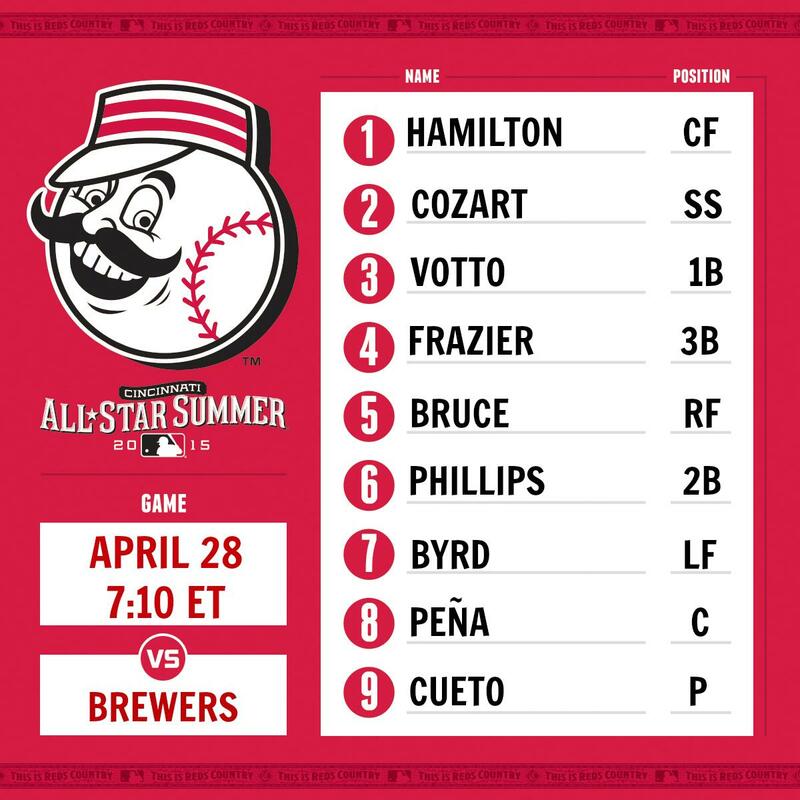 Votto has not gotten a hit since moving down to third. Michael Lorenzen will make his major league debut tomorrow. Leake has been pushed back to Thursday. My guess is they 60 day Homer. Would love to see them designate Gregg though. Here's to two in a row. I think I'm going to be upstairs tonight. Gonna be a slow one for this beer vendor. Night like this, I need to remind myself that I'm also a fan. Badenhop would be my 1st choice. Gregg has had some outings where he hasn't allowed someone to score. I don't think Badenhop has. Don't get me wrong, I want them both gone.